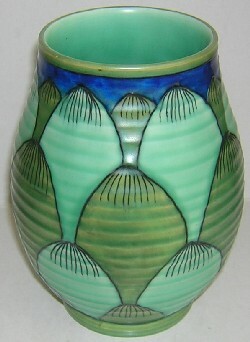 An unusual Crown Ducal pottery Charlotte Rhead signed vase decorated in the Turin pattern, number 2691. 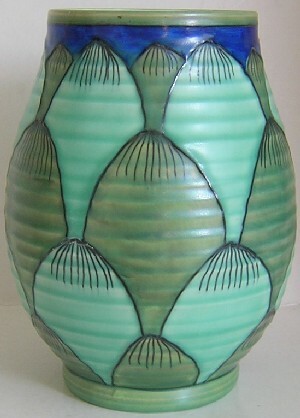 This vase is decorated with green lotus leaves and stands 7" tall. 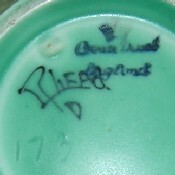 It is stamped on the base with the Crown Ducal England pottery mark with a Charlotte Rhead signature mark, and has the shape number 173. This pattern was only made for a short time, c1932-1933. Condition: Excellent - no cracks, chips or hairlines.